Fine Gael’s Sean Barrett is given job of keeping order in the Dail – but proposals made to change how the post is given out in future. FIANNA FAIL AND Sinn Fein have both called for the future nomination of the Ceann Comhairle to be achieved by secret ballot. 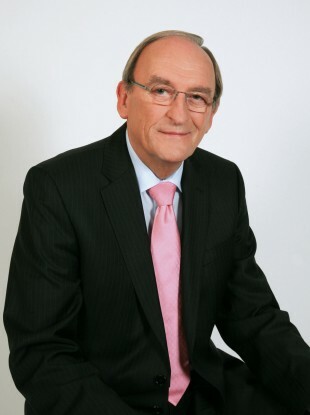 Micheál Martin said that while he supported the nomination of Fine Gael’s Sean Barrett as Ceann Comhairle for the 31st Dail, he fel that it would be a good move to make the post one voted on by secret ballot. Sinn Fein leader Gerry Adams said his party also wanted a secret ballot for the post. He said that it was inappropriate for a government with such a “huge majority” to be able to propose one of its own deputies for the job. Nonetheless, Adams said he thought Barrett would “do a good job”. Micheál Martin said that Fianna Fail believed that Barrett would be an “impartial chair” as he had previously proven himself to be a “rather restrained voice” on occasions of unruly exchanges in the Dail. Enda Kenny, proposing Barrett, had paid tribute to his previous roles as Chief Whip and in his various spokesmanships for Fine Gael. He said that he felt Barrett would make sure the Dail would be “fair, objective and accountable” and do justice to the people who had voted the Government into Leinster House. Labour’s Eamon Gilmore supported Barrett, drawing on his experience of sharing a constituency (Dun Laoghaire) with him for 22 years and describing himself as “fair” and an “outstanding colleague”. Finian McGrath, one of the three spokespersons for the new technical group formed by independents and TDs under the United Left Alliance umbrella, said his “preferred choice” for Ceann Comhairle would have been to have an independent. However, he too agreed to the nomination. For his part, Sean Barrett, who is now guaranteed to be returned to the Dail in the next general election should he decide to remain on, thanked the House for his nomination and congratulated all those elected to the 31st Dail. We need a modern parliament for a modern age. He also hinted that he would approach the issue of giving backbenchers more of a voice in the 31st Dail. He said that “the ordinary backbencher has effectively been cut out” of Dail debate, and that this was a “backbone” of the Dail which should be included. And in language appropriate to a man whose job it will be to keep order and peace in the Dail, Barrett promised to be “firm and fair”. In the debate over the nomination of Enda Kenny as Taoiseach later, former Senator, now independent TD, Shane Ross, had a playful jibe at the new Ceann Comhairle. He congratulated Sean Barrett on his “particularly good achievement, seeing that you will be returned to the next Dail automatically, having retired from this house eight years ago”. Email “FF and SF want secret ballot for Ceann Comhairle”. Feedback on “FF and SF want secret ballot for Ceann Comhairle”.